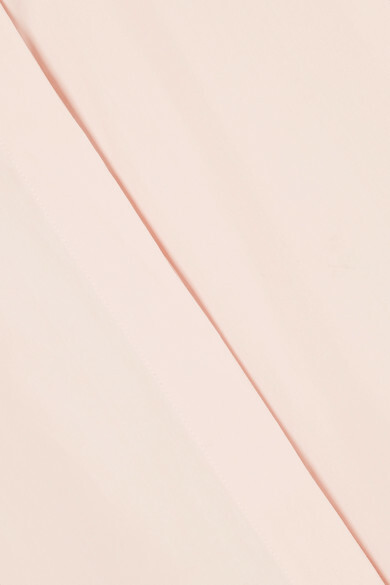 In PorterEdit, we recently answered the question of how to make pink work for work. 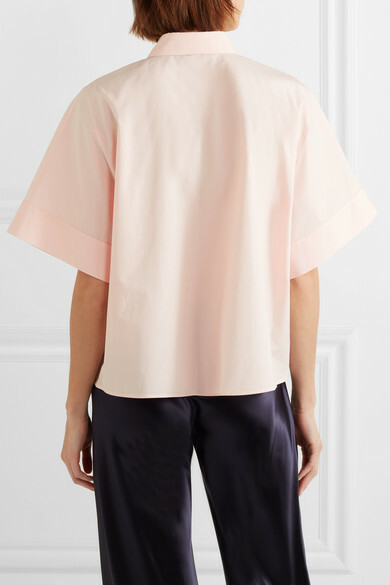 One tip is to go for precision cuts that counter the color's girlish reputation - case in point, this shirt by Jil Sander. 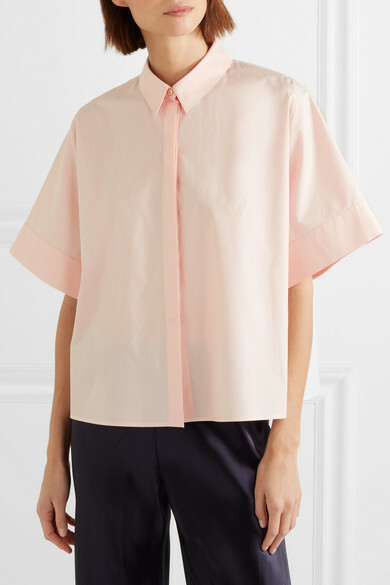 It's neatly tailored from cotton-poplin and has partially concealed mother-of-pearl buttons to keep the silhouette minimal. 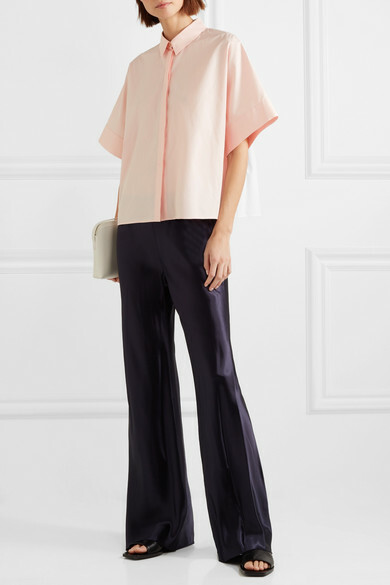 Shown here with: The Row Pants, The Row Shoulder bag, Jil Sander Sandals.